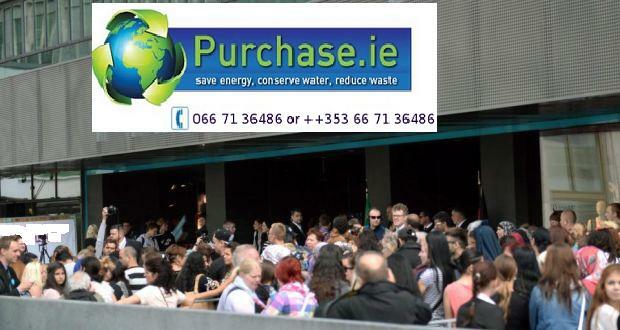 We like to think that given the value we offer on our product range that every Friday is a Black Friday at Purchase.ie. 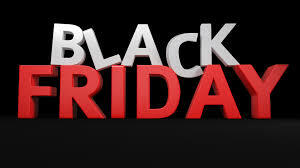 However to go with the flow of other retailers we will make this one extra special Friday by offering discounts across our entire product range when you insert the discount coupon code blackfriday at checkout or call us on 066 7136486 and wish us a “Happy Black Friday“. We will run this over all weekend so you can make it a Black Saturday or a Black Sunday if you wish. 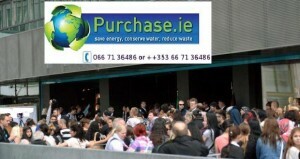 A badly manipulated image showing the big crowds gathering at arguably the largest online store in The Spa, Tralee. Maybe next year Rodney! years or so the day after Thanksgiving in the States. It is slowly gaining momentum in Ireland over the last couple of years with some companies even backing up in store branding with a TV advertising campaign. In the next few years it might well be become as big a day for shopping in Ireland as the first day of the January sales which seems to have lost its shine to some extend over the past few years. If the likes of Macy’s in New York are doing it then it is only fitting that Purchase.ie which is arguably the largest online store in The Spa, Tralee (population 500 approx) should get in on the action and run a Black Friday Promotion. We have great deals on Eco Panel Heaters, Solar Fairy Lights and much more. With a cold snap of weather on the way you might also wish to check out our Radfan, Frost Watcher Heaters, our new Electric Hot Water Bottles and a wide area of draught excluder products which will ensure you keep warm and cosy no matter how cold it gets outside. So get shopping online now. Use the code blackfriday for discounts or call us 0n 066 7136486 and we will take your order over the phone but be sure to wish us a Happy Black Friday (even if it is Saturday and Sunday).